Welcome! > Skincare > How Does Microneedling Help Your Skin? You know the annoying dark spots left behind to remind you of a painful pimple that once sat on your forehead? Acne scars are not only aesthetically uncool, but they contribute to skin dryness and lackluster over time. Microneedling is great because it creates micro-injuries in the area that is scarred and forces the skin to heal it, revealing fresh and youthful skin underneath. Wrinkles and fine lines are caused by a loss of elasticity in the skin, which causes it to sag. 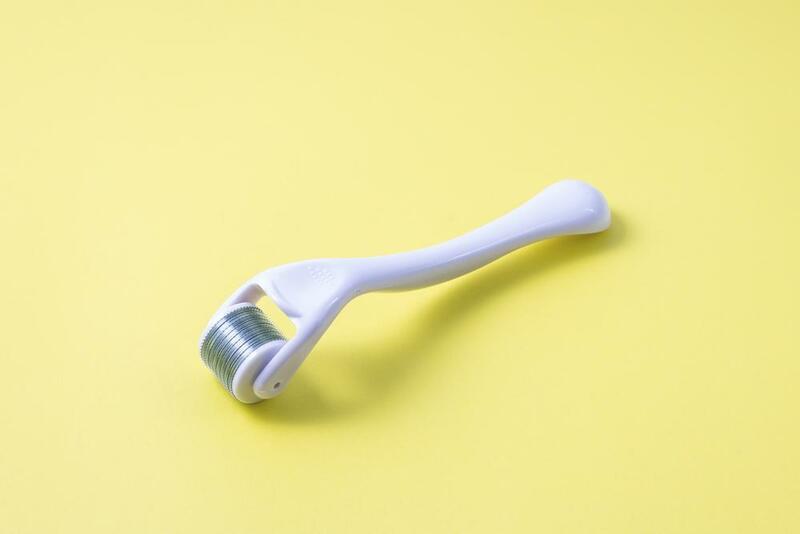 Since microneedling induces the production of collagen and elastin, your skin is ‘tricked’ into overproducing these compounds (because it thinks your skin is more injured than it actually is!) and this is the way to get smooth, young skin on demand. Texture is one of the most important yet very little-discussed issues associated with the skin. Many people chuck youthful skin to up to the lack of acne and hyperpigmentation. Texture is the real hero of glowy skin. When your skin is smooth and crevice-free, it feels like a newborn baby’s and it instantly shaves years off! Microneedling helps to even the skin texture and will give you a smooth base for perfect makeup application (better than any primer on the market). A common misconception of the procedure is that it can only be used on the face. Microneedling can, in fact, be performed on most parts of the skin where it needs healing. Stretch marks are as a result of the skin stretching or shrinking too quickly and they are scars in and of themselves. Microneedling will help reduce the appearance of stretch marks by inducing the skin’s natural healing process and this works especially well when combined with other popular stretch mark remedies like laser treatments. A quick word of caution; there is always a risk of serious skin injury, so many skin care professionals advise against home treatments that involve microneedling. Even though dermarollers are more popular on the market and are selling quickly because of their high convenience, care should still be taken if microneedling is practiced at home. Make sure you read and understand all the instructions if you do use a home kit and contact a skin specialist before attempting this procedure by yourself. Microneedling is a fantastic technique with many helpful benefits for your skin. Try this method to heal a wide range of skin issues, and the benefits will speak loudly for themselves.